If you are currently looking for an affordable set of all-season tires, make sure that you take a look at Hankook Optimo H725. This tire deserves some attention because of the awesome qualities. This tire has great traction and reliability on both dry and wet roads. It is also pretty good on snow. But the best thing about this tire is the longevity. Despite the affordable nature, Hankook Optimo H725 is able to reach surprisingly high mileage. It is one of the more long-lasting tires in its price class, making it a huge value for the money. Longevity and performance, combined with a reasonable price – what else would you ask? 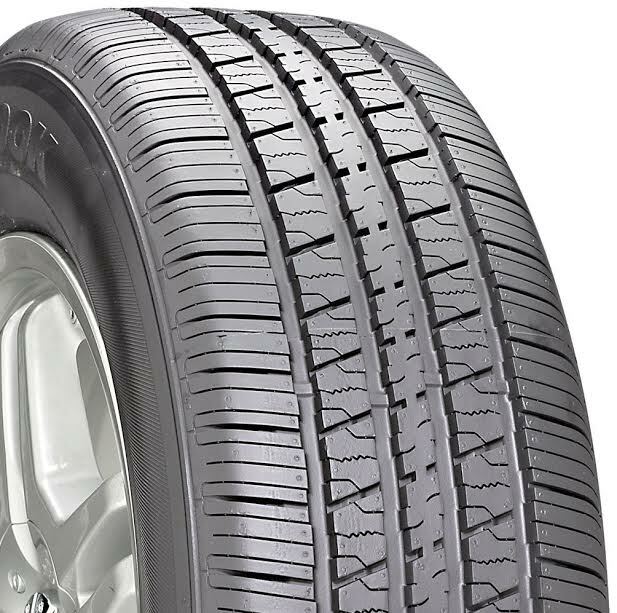 Hankook Optimo H725 has been designed with a special tread compound that resists abrasion. This way, by not easily breaking down, the tire can last for a longer time than your average tire. In addition, thanks to the abrasion-resistant tread compound, Hankook Optimo H725 may have some power and durability to get through a bad terrain safely. The tire is further reinforced by a high hardness bead filler to increase the strength and sturdiness. Inside, there is a single-strand bead wire that functions to enhance the uniformity and vehicle ride. There is also the new light-belt cord implemented in the tire, which lighter yet stronger than previous technologies. The light-belt cord helps to improve steering and reduce your car’s fuel consumption. The whole internal construction is enveloped by a jointless full cover. The jointless full cover maximizes road contact for better handling and high-speed stability. On the tread surface, you can find a particular tread pattern. It features wide main grooves that are very effective in increasing water drainage, and the high kerf density across the tread creates traction for going through snow and ice. The long, interlocking intermediate and center buttons create stability when braking, improving the stopping distance. Finally, the simple radial shoulder geometry is very effective in resisting irregular wear on the spots that are the most susceptible to wear. As the effect, the tire may have more even and regular wear. A radial shoulder angle helps to maximize the tire’s overall stiffness for better handling and improved wear performance. Overall, the performance of Hankook Optimo H725 is awesome and satisfying. It is an excellent choice for an all-season tire. It has great reliability in varying weather conditions. It has great traction and the handling is solid on a dry road. The vibration and noise levels are relatively low, so this tire is actually quite comfortable to ride. On a wet road, it is still very much dependable. The various features and technologies implemented in the tire are indeed very effective to create the true wet performance for an all-season tire. On snow, the traction is noticeably lower, but not very much to be dangerous. Still, you should be more careful when driving Hankook Optimo H725 through snow or ice. Don’t drive at high speed. Hankook Optimo H725 is able to reach very high mileage, so this tire is an excellent choice for long-term investment. Resists abrasion for a longer life time. Enhances vehicle ride and uniformity. Lighter yet stronger. Improvessteering ability and fuel economy. Improves high-speed stability andmaximizes road contact for enhanced handling. Optimized for reliable wet and snow traction, braking performance, and long, regular wear. Check the best price of Hankook Optimo H725 here! Meguiars Scratch X 2.0 Review: Remove Unsightly Scratches and Blemishes!